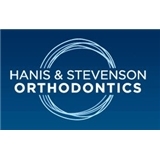 Hanis & Stevenson Orthodontics (Katy) - Book Appointment Online! At Hanis & Stevenson Orthodontics, we know that no two smiles are exactly alike. Some have teeth that stick out or crowd together, while others may have spaces between teeth. No matter how your teeth are currently positioned, if you have trouble chewing, get headaches when you eat, or are simply embarrassed about your smile, our orthodontic treatment can help. As an Invisalign Elite Provider, Dr Hanis is recognized in the top 5% of Invisalign providers worldwide and has successfully treated over 300 patients with the clear aligners. Choosing an Elite Provider to perform your Invisalign treatment holds many benefits including guaranteed Invisalign experience, elite invisalign training, visible results, and the ability to perform even the most complex orthodontic treatments with these invisible aligners. I love coming to this office! Everyone treats me so nice. Dr. Hanis gave me a beautiful smile.